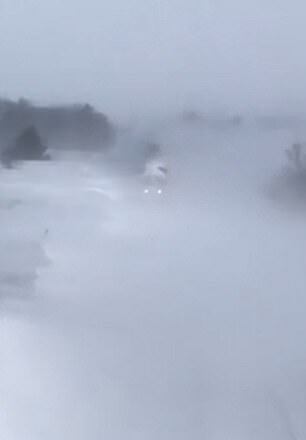 A Minnesota train plowed through a massive snow drift after a fierce blizzard struck the Midwest over the weekend. 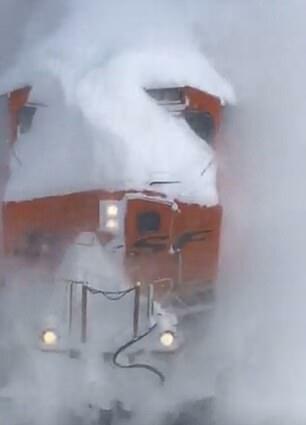 In the video, several feet of snow is seen covering the tracks as a BNSF Railway Co train prepares to barrel through. Moments later, the train sends bursts of snow flying through the air as it passes by. The tracks had been covered in more than a foot of snow over the weekend after a blizzard caused Minnesota to declare a state of emergency. Residents were urged to stay at home amid -5F temperatures in Minneapolis.